No, this has nothing to do with the salad dressing. To be honest, I don’t even really like that stuff. When I was a little kid, fettuccine alfredo was my absolute favorite dinner. My mom, however, was always a very healthy cook so whenever we would go out to an Italian or Pizza place, that was when I ordered my cherished alfredo sauce. Still to this day, there’s really nothing as comforting to me as the creamy buttery sauce, delicately coating a bed of hot noodles. You know what I don’t like though? Feeling comatose after eating a huge bowl of fettuccine alfredo at an Italian diner. And while I love to wear my sweatpants, I don’t love having to wear my sweatpants (read: elastic waist or bust). Vegan whole grain spinach fettuccine (found in the specialty pastas at Whole Foods), a touch of organic cream and butter, farm fresh peas for protein, dry Jack cheese, and a pinch of lemon juice, sea salt and hot pepper flakes. This pea would be proud! I love making this dinner for myself when Adam is working late and it’s just me, my bottle of lime mineral water and three episodes of Private Practice ahead of me. The sauce is deliciously creamy and rich but not pant-popping material. Cause as much as I love my old college sweatpants, I think I love my skinny jeans more. Cook pasta in boiling salted water. If using fresh pasta, this will only take about 30 seconds–don’t overcook! Drain and reserve 1/4th cup of pasta water. Set aside. While the pasta is cooking, cook the shelled peas in another pot filled with boiling water. Simmer peas for 10 minutes or until tender. Drain. In the same pot, melt the butter and whisk in the lemon juice. Add the cream, salt, red pepper flakes and cheese and stir over low/medium heat until slightly thickened. Pour over cooked pasta, add peas and a little reserved pasta water if it seems dry. Finish with a grind of black pepper. 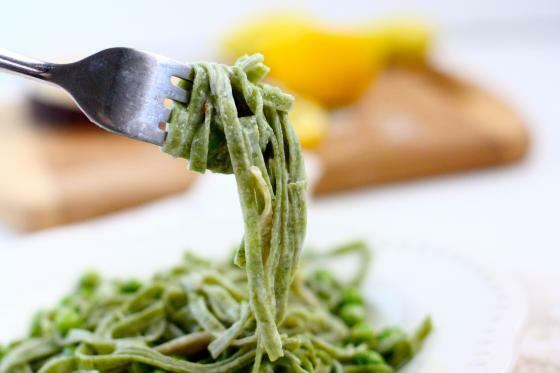 i absolutely love spinach linguine…the color, the texture, the flavor…it’s all perfect! 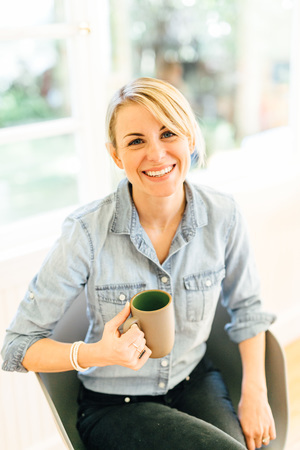 This sounds amazing Jenna, perfect for a quick summer dinner! I cannot cook pasta to save my life. I have a Sicilian in my life to cover all pasta dishes and never regret a single bite! I’ll show him this recipe for some inspiration! I’m the same way with rice – can’t do it if there was a gun to my head! Just so y’all know—I can’t cook rice to save my life either! Why do you think I keep making quinoa all the time?! LOL Jenna! I can’t seem to cook Quinoa! It always seems to have a funny taste! Rice i can handle! (my next attempt will be Sushi rice! It makes great quinoa, too! i love fresh pasta! and this looks amazing! i can’t wait to get to whole foods and pick up some! 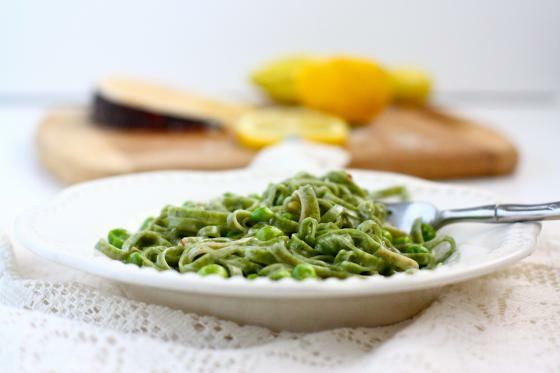 Your pasta looks great and the peas are so VIBRANT and green! I love that! The picture of the peapod on the wood cutting board..such a pretty contrast, great photography. Looks delicious and simple! LOVE! This sounds so refreshing – and I never say that about pasta!! I love the photos of the peas. Definitely another one to bookmark! This recipe would be perfect for a summer cookout. And those shots (with the green pasta and green peas) are gorgeous! Tasty and simple. I should keep my eyes peeled for fresh pasta more often. 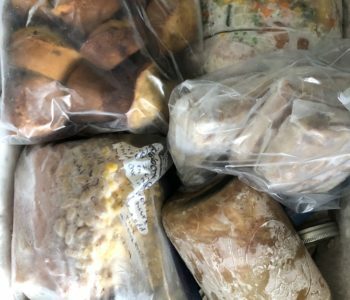 I’m excited to see what I’ll discover on Saturday at the local farmer’s market. I’m a total sucker for pasta, and this looks awesome. And I totally vote sweatpants over skinny jeans at this juncture in my life haha!!! I looove the ingredients written out on the chalkboard, and your photos are looking really beautiful! The pasta looks delicious. wow-that looks amazing. great job. can you give us a little more info on the book you are writing?! It’s a memoir about my time in culinary school, studying abroad in France and working at a bakery a couple years ago. It has about 50 recipes scattered throughout and will be at bookstores in about a year! I’m glad this has nothing to do with GG Dressing — I do not like the taste of that at all. 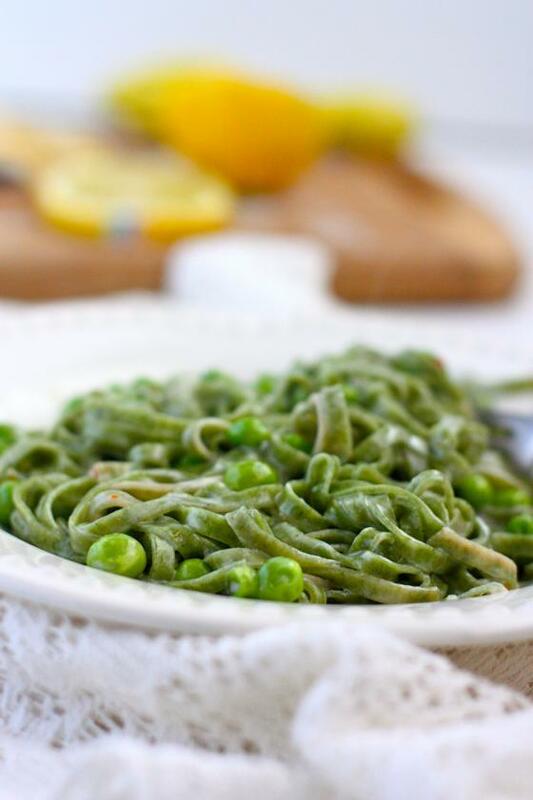 The pasta and peas look so cute together — I love the green! I live in very rural Kansas where the grocery store is 8 miles away and not much for options. Do you have a recommendation for substituting the dry Jack cheese with something more common? Also, does whole wheat fettuccine work as well as the spinach version, or should I add some spinach to the recipe? Thanks! Try Parmesan cheese instead :). You can use whatever type of pasta you like! You are my hero. Thank you for thinking of this. I haven’t had alfredo (even if it’s my favorite) in so long because of the whole stuffed feeling. Ok, ok and the added pounds. Do you think I could substitute spaghetti squash instead of pasta? Why not, right? This looks delicious, I love fresh peas this time of year! I love how green and simple this is. Looks like a great weeknight dinner. oh weird, i don’t care for the green goddess dressing either ~ i thought it was just me! this looks amazing ~ and i love the name! Who DOESN’T love alfredo? I think it’s one of the most favored pasta sauces around. The first time I ever cooked for my boyfriend, he requested chicken fettuccine alfredo. The classic thick and creamy sauce is good once in a while, but this green goddess pasta is something I could eat every week. Plus, I love peas! When my sisters and I were little my mom would always make fettuccine alfredo with spinach linguine! I love your lightened up version. I always enjoyed my fettuccine alfredo with broccoli and sometimes chicken…love the combination of those flavors. Red Pepper Flakes and lemon sound amazing in this dish..can’t wait to try! Mary, I totally agree–I would love to add broccoli to this as well! OMG–on my way today to Whole Foods anyway…going to make this. Thanks! I love green kinds of pasta too. Kind of a Free Pass from guilt-fairy sitting on your shoulder ‘Are you really going to eat that.’ Yup, sister woman, I am, it’s green! Mmm so tasty! Love this recipe. The sauce sounds fantastic. I bet some pine nuts would also taste pretty great in that dish! Ooh I love peas on the spring- yes please! This looks so good! A perfect summer dish. I would have to add chicken (or maybe tuna?) for hubs. That looks amazing! Pasta is totally my comfort food, too! Will make ASAP! looks great! I love peas in anything! 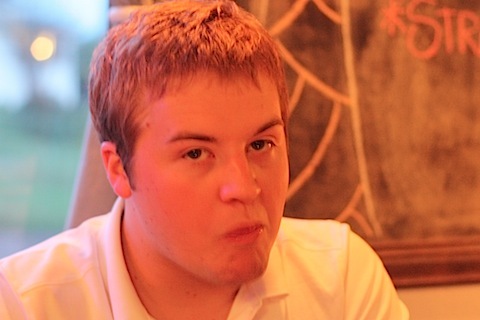 mmmm…. looks lovely and yummy too! Thank you thank you thank you for this! Growing up in an Italian household, I fell in love with fetuccini Alfredo and other creamy, carby treats. I mus make your version! As always, your photography is gorgeous! Yum. I love GG dressing … can’t believe you don’t. This looks so fresh and I love all the shades of green playing on the plate. This is such a pretty dish. I love how summery it looks. And we’ve seen your skinny jeans…they are super cute and I’m sure you look fabulous in them! I’ve never thought of that…but Hummus goes with anything really! I use hummus to make creamy pasta sauce all the time! When I first thought of it, I was worried it wouldn’t hold up well, but it’s really one of my favorite ways to make a not-so-decadent pasta dish. I especially like Sabra’s Supremely Spicy hummus for a totally tasty creamy, spicy pasta dish. This looks delicious and I can’t wait to try it! I love that you use real ingredients even though its a lightened up recipe. 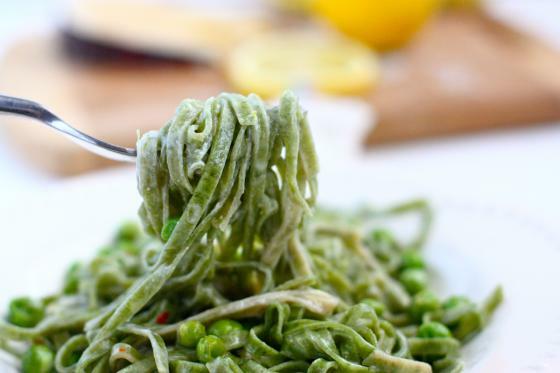 Pasta is my favorite and I only recently found out peas are a protein source – pretty awesome! I love pasta and Alfredo sauce! I want to try this soon! This looks so insanely delicious! My mom also had a predilection toward making healthier foods, and she used to make a ‘lighter’ fettucine alfredo that was to die for. I stole the recipe from her years ago, and it’s still one of my favorites. The addition of peas in your recipe looks amazing! As does the spinach fettucine. Gosh this makes me want to live by a Whole Foods even more!!! 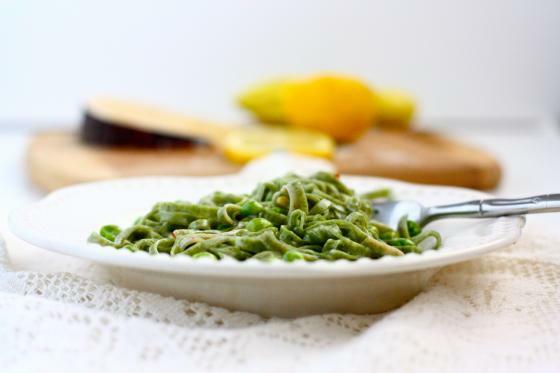 Fresh vegan whole grain spinach pasta!?!?!? OMG. YES! Oh WOW… THANK YOU!!! Fettucini alfredo is my absolute FAVORITE pasta ever so this is perfect! Green food is just so photogenic and delicious looking. The pasta looks so tender + doughy. Love it! 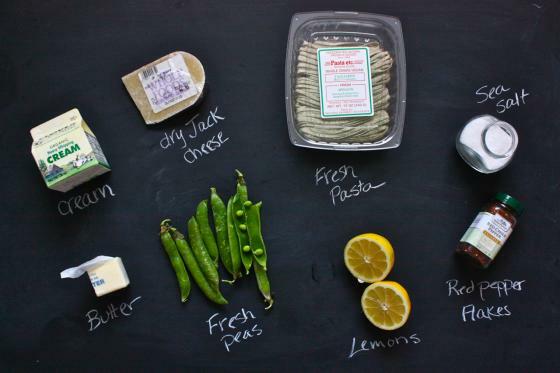 I really like the substitution of dry jack for parmesan cheese and the peas are a nice add too. Definitely a more guiltless version. Mmm – that looks amazing. You really can’t beat fresh pasta! 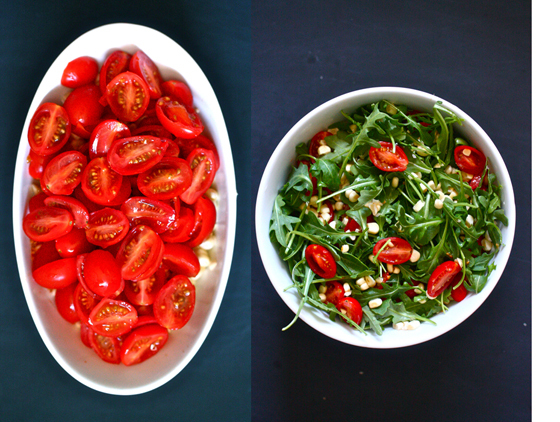 Oh yum, that seems like the absolute perfect summer dish – not too heavy and just light enough! I like your touch with the peas. 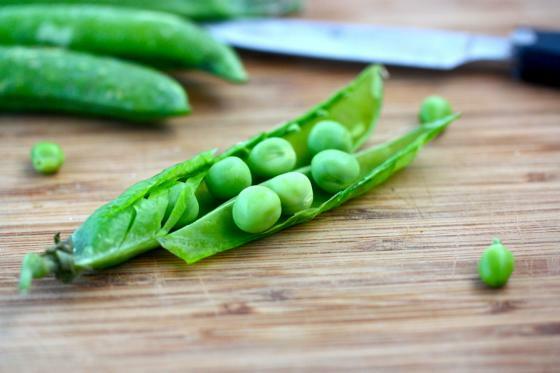 I don’t eat peas enough but they are such a great addition and can jazz up a simple dish! Thanks for sharing. I love Private Practice too! My Hubz has been teasing the show is not coming back next season. I don’t even want to imagine that! This dish looks really good. I envy your creativity. The dry Jack cheese sounds really interesting though. Got to try this for dinner tomorrow! I seriously love all things green. I’ve been craving so much green the other day I came home with kale, dandelions, swiss chard, spinach, snow peas, green apples and kiwi. I’m nuts. Can’t get enough of green. This pasta looks absolutely delicious!! I could live off pasta. Jenna, thanks for posting this – I’ve made it twice now, swapped the cheese and added some other veggies as well, still delicious! Very easy weeknight meal. Mmm, nostalgia | drink. eat. play. repeat. Hi Jenna, I am so glad I found you! Your recipes are amazing and the best part is… they are so healthy. Today I will try the goddess pasta. Fettuccine alfredo is also my favorite. Can’t wait to try many more of your recipes. About your book, please let me know when it is coming out. Best Chris.